Although Oscar-winning director Martin Scorsese is best known for his gritty crime dramas and two- to four-hour-long films, he also occasionally dabbles in making short-form commercials. Here are eight ad spots he has directed over the years. In 2013, Martin Scorsese directed Matthew McConaughey and Scarlett Johansson in Dolce & Gabbana’s commercial for their fragrance The One. The black-and-white ad campaign was titled “Street of Dreams” and followed the pair driving through New York City and reminiscing about love, their desires, and the changing city. It was described as "a celebration of passion, of beauty, and of being unique." Scorsese paid homage to his 1976 film Taxi Driver in a 2012 Apple commercial for the iPhone 4S and its voice assistant feature Siri. The TV spot showed the busy director trying to re-organize his daily schedule while heading downtown in a New York City cab. If you look closely, the taxi’s number, “3S96,” is the same one that Robert De Niro’s Travis Bickle drives in Taxi Driver. Scorsese directed “THE FILM” for the men’s cologne line Bleu de Chanel in 2010. It starred French actor and model Gaspard Ulliel as a young hot-shot director who remembers his favorite muse and his early days as a struggling filmmaker, when she reappears in his life during a fast-paced press conference. The ad features a number of Scorsese signatures, including its kinetic energy, quick editing, and music from the Rolling Stones—in this case, their 1965 deep cut “She Said Yeah.” Scorsese also paid homage to Michelangelo Antonioni’s 1966 film Blow-Up in the way some of the various modeling scenes were shot. The Tribeca Film Festival and American Express reached out to Scorsese to produce an ad spot for the film festival in 2004. The commercial featured festival co-founder Robert De Niro walking through the streets of New York reflecting on his life and the city that he calls home. In 2007, Scorsese directed a star-studded commercial for American Express’ The Members Project program. The TV spot featured Alicia Keys, Ellen DeGeneres, Shaun White, Andre Agassi, and Sheryl Crow, along with Scorsese playing himself, directing the whole thing. 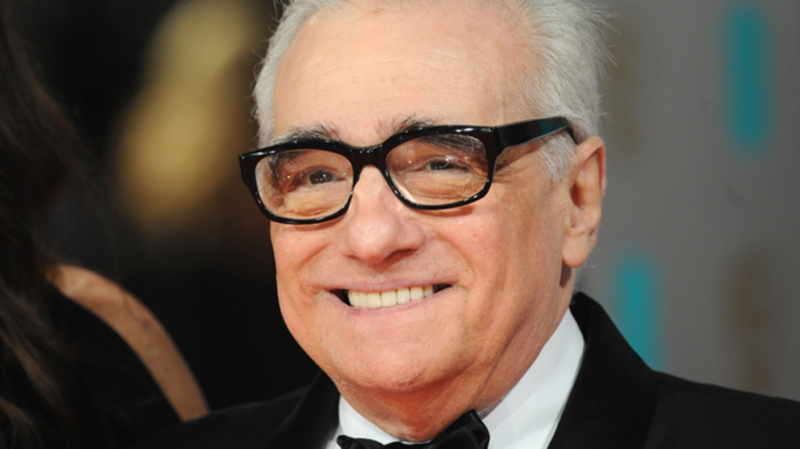 BONUS: Scorsese also appeared in a few TV spots for American Express that he didn’t direct, most notably 2006's “One Hour Photo” from veteran commercial director Jim Jenkins and Academy Award-winning cinematographer Emmanuel Lubezki. Scorsese directed two 30-second commercials for Giorgio Armani in 1986. The first was for the Emporio Armani clothing line and featured a young couple sitting on a bed as the woman teaches the man Italian by pointing to her facial features to help him understand. Academy Award-winning cinematographer Néstor Almendros filmed the scene in black and white. The second spot, for Armani Cologne, has a man accidently spill a bottle of cologne as he sneaks out of an apartment to avoid an angry confrontation with his girlfriend. This time German cinematographer and longtime Scorsese collaborator Michael Ballhaus filmed the commercial. In 2015, Martin Scorsese directed two of his frequent leading men—Robert De Niro and Leonardo DiCaprio—in a pair of commercials for City of Dreams Casino in Manila, Philippines and Studio City Casino in Macau, China. The ad campaign was called “The Audition” and showed De Niro and DiCaprio battling over the lead role in Scorsese’s new film, while Brad Pitt also threw his name in the ring. The two commercials are relatively similar, except Scorsese is welcoming the rival actors to its respective casinos. According to ABC News, each actor took home $13 million to appear in the commercials, while its budget circled the $70 million mark. In 2008, Martin Scorsese appeared as himself in AT&T’s “Be Sensible” public service announcement campaign to urge theatergoers to silence their phones while watching the movie. In the PSA, Scorsese, unhappy with a son’s phone call to his father, interrupts to give direction to the child and his mother on how to properly address this phone conversation.